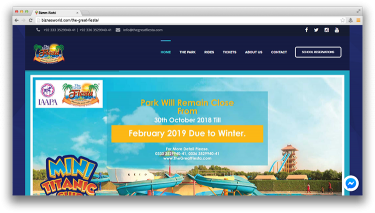 Description The Great Fiesta Water Park is a hi-tech and action packed water park, largest Water Park in Karachi, Enjoy world class Family Water Park Facilities at your own city Karachi, thrilling entertainer with amazing features for all ages, your ultimate water sports holiday destination. Address Survey No. 25, Deh Amilano Tappo Kathore, Main Super Highway, Karachi.